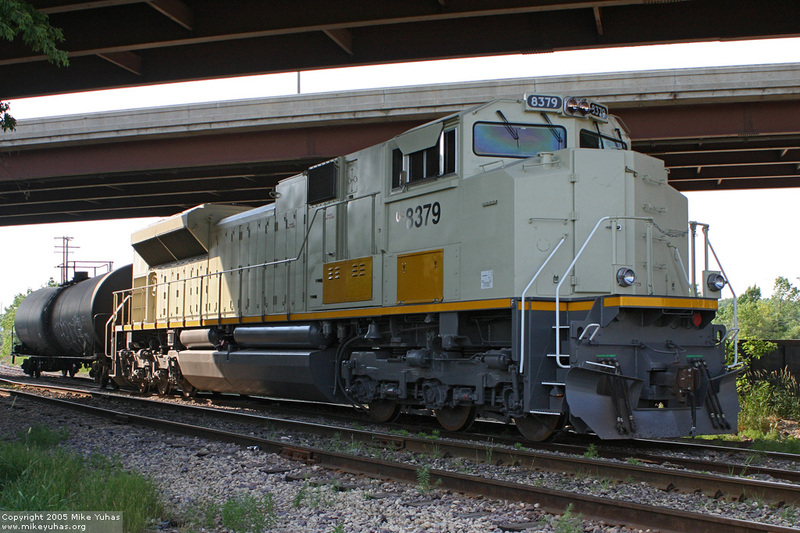 New UP SD70ACe 8379 sits awaiting pickup by the Wisconsin & Southern underneath Brown Deer Road at Milwaukee (Granville) Wisconsin. This unit was assembled in Electro-Motive's London, Ontario, facility. It carries the serial number 20046610-071 and a build date of May 2005.